New Delhi (Sputnik): Top officials of India's Defense Ministry, along with representatives of the country's defense industry, are visiting Moscow next week. They will be assessing the Kalashnikov rifle works at Izhevsk so that the government to government agreement on the licensed production in India of the upgraded Kalashnikov AK-103 7.62x51mm assault rifles can be fast-tracked. The development was confirmed by an official of the defense ministry, as well as by industry sources to Sputnik. The deal was discussed in detail during the Moscow visit of India's Defense Minister Nirmala Sitharaman earlier this month. "A group of officials from the ordnance factory board of Trichy and Rifle Factory Ichapore will be in Russia on April 24 to assess the Kalashnikov rifle works at Izhevsk. Later on, a defense ministry official will visit Moscow to have detailed discussion with the Russians," an industry source told Sputnik. The proposal for the licensed production of AK-103 rifles by the Indian industry enjoys the approval of the Indian Army, which has been facing a longstanding shortage of more than 768,000 assault rifles. Earlier, in February this year, the Nirmala Sitharaman-led Defense Acquisition Council approved the purchase of 740,000 assault rifles for the three services of the Indian Armed Forces. "These Rifles will be 'Made in India' under the categorization of 'Buy and Make (Indian)', through both Ordnance Factory Board and Private Industry at an estimated cost of $1.9 billion," India's Defense Ministry informed the Parliament on 13 February. Defense analyst Rahul Bhonsle says the AK 103 is a good option for the Indian Army, as the AK series of assault rifles have proven merit. "The AK series is a proven combat weapon system which is simple to operate, does not have stoppages and also meets the specifications of the range of rate of fire required. 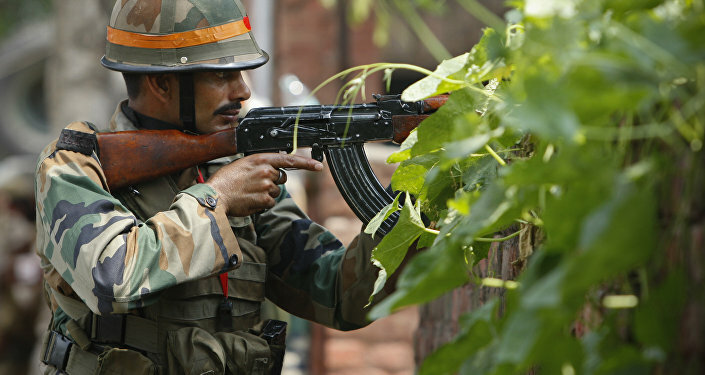 This will meet the requirements in the short to medium term as the Army has been struggling to induct an assault rifle for some years now," Rahul Bhonsle, retired Indian Army brigadier and defense analyst told Sputnik. "I expect that the deal will be signed anytime this year. I see a three year period for start of production after the contract is signed," Bhonsle added.